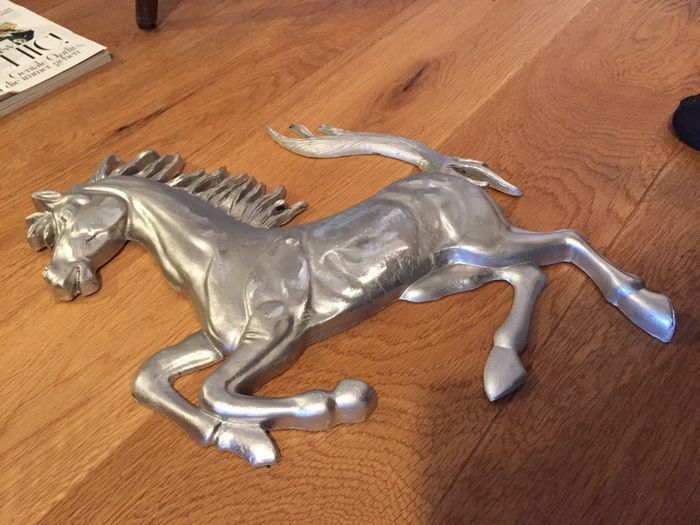 Ferrari horse made of aluminum - 40x27 cm - in the 80s as advertisement for collectors or workshop. 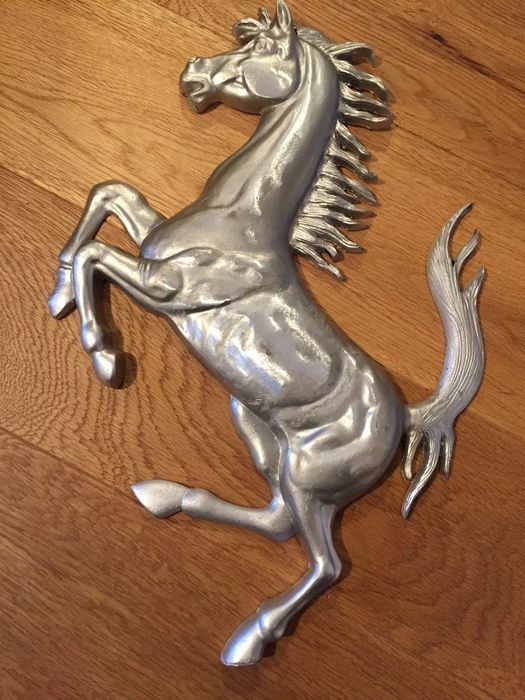 For Ferrari enthusiasts and collectors. 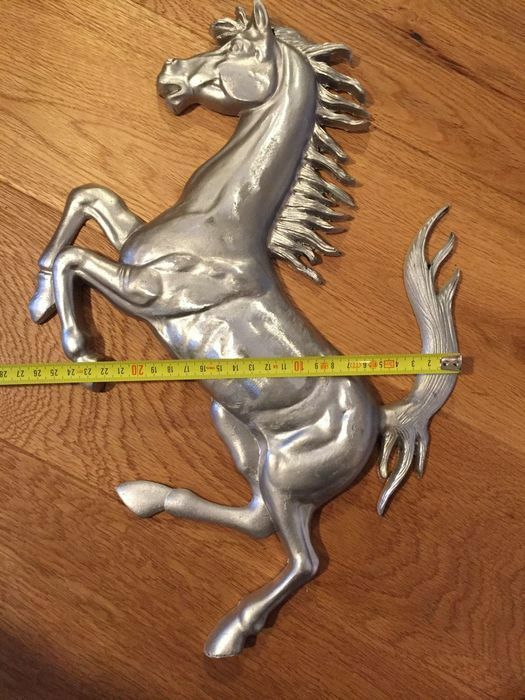 40 cm high, approx. 27 cm wide. 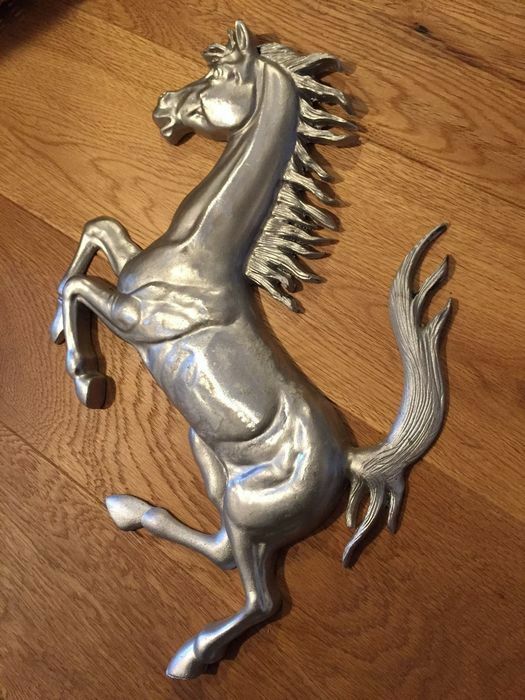 I am offering a polished Ferrari horse made of aluminium. 1980s as promotion for collectors, workshop. 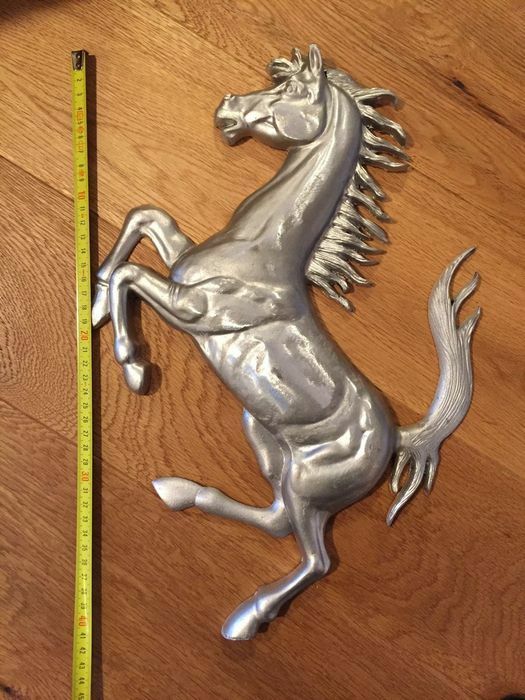 The dimensions are 40 cm high, approx. 27 cm wide and approx. 3 cm thick.